Round 1 in a Seattle zoning bout could come to a close Monday, when the City Council is expected to vote to allow taller buildings and denser construction in 27 neighborhood hubs and some other areas. But a Round 2 debate over the rest of the city’s residential blocks could start as soon as this year’s council races, circling back to a past political gambit. It was July 29, 2015, and Seattle stood at a crossroads. A panel convened by then-Mayor Ed Murray had recommended buildings in neighborhood hubs and denser housing options everywhere, angering some homeowners who wanted to shield blocks of single-family houses from development. So Murray made a decision still resonating today. City Hall would leave most of those blocks alone and move ahead with upzones of one or several stories only in and around the 27 hubs and along arterials, he said, sacrificing the more controversial proposal in order to protect a deal with developers that could yield thousands of apartments for low-income households. The strategy may have paid off, because the council is expected to approve the targeted upzone plan while requiring developers to include some low-income apartments in their buildings or pay into an affordable housing fund. The changes would affect 6 percent of Seattle land now zoned for single-family houses, according to the city. Mayor Jenny Durkan has supported the plan. The story isn’t over yet, however. Questions about single-family zoning could help decide the council’s 2019 elections, pitting voters who want more changes soon against those who want to halt what they describe as a destructive “top-down” approach to growth by City Hall. The upzone plan grew out of a proposal by Councilmember Mike O’Brien in 2014. He linked Seattle’s rapid growth to the need for affordable housing and said developers should pay fees to fund that housing. With some developers threatening to sue, Murray directed a volunteer panel to tackle the question and other housing issues. Months later, that group recommended 65 strategies, including the upzone plan and slightly denser options on blocks now reserved for single-family houses, such as similarly sized duplexes and triplexes. The recommendations immediately sparked debate. Proponents touted the upzone plan later dubbed Mandatory Housing Affordability (MHA), as a “grand bargain” in which developers would be allowed to build taller in return for helping the city with low-income housing. Developers had for years resisted attempts by advocates to have Seattle, like Redmond and Kirkland, adopt such a policy, said Marty Kooistra, executive director of the Housing Development Consortium. Where he saw compromise, critics claimed a scheme between for-profit developers and nonprofit builders, with the former getting upzones, the latter getting funding and the public barely involved. City Hall went on to hold community meetings, public hearings and focus groups. “What we got with MHA was a take-it-or-leave-it backroom deal,” said Alex Pedersen, a onetime council aide now running in District 4, which includes Eastlake, Wallingford and Northeast Seattle. The council passed MHA upzones in 2017 for the University District, downtown and South Lake Union, the Chinatown International District, Uptown and some Central District intersections, with weaker affordable-housing requirements for downtown and South Lake Union. The legal challenge against Monday’s additional upzones contended the city had inadequately studied the environmental impact of the plan on such aspects as tree canopy, infrastructure and parking. It also argued the plan could worsen gentrification by encouraging developers to replace older, cheaper dwellings with luxury models. It claimed burdensome tax hikes would accompany property-value increases driven by the upzones. Siegfriedt, the Lake City activist, said critics are considering whether to appeal the upzones to the state’s Growth Management Hearings Board after the plan is approved. Though Jill Mangaliman’s South End environmental-justice group Got Green didn’t join the challenge, Mangaliman has expressed concern about redevelopment pushing people of color out of Seattle and called for stronger affordable-housing requirements. Though the former mayor, Murray, backed away from zoning changes for most single-family lots, the discussion has continued, with advocates saying more housing options would help accommodate growth and chip away at residential segregation. 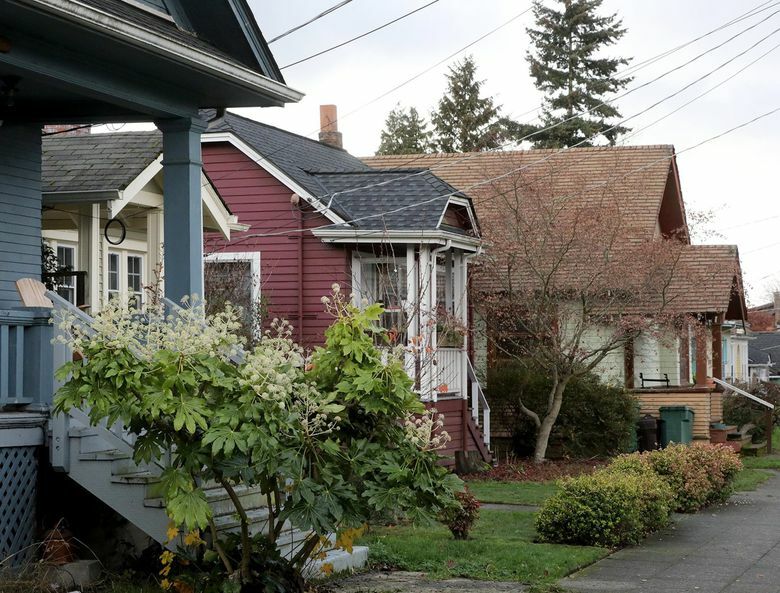 Seeking to loosen the city’s restrictions on mother-in-law apartments and backyard cottages in those zones, O’Brien has been stymied by legal challenges by the Queen Anne Community Council. In a report last year, the Seattle Planning Commission said banning apartments on most blocks has created enclaves for wealthy white homeowners and squeezed other people into small strips. Councilmember Teresa Mosqueda hopes to take on the issue, and this year’s elections could bring support for her program, with all seven of the council’s district seats up for grabs and four incumbents not running, including Johnson. One battleground could be District 4, where Pedersen’s opponents include Shaun Scott, a Democratic Socialist who supports more zoning changes. While Pedersen says City Hall should wait and monitor the MHA upzones “before we start putting our foot on the accelerator,” Scott says additional zoning changes should be considered alongside taxing large businesses to fund affordable housing. “We need to make use of space everywhere we can find it,” Scott said. As the conversation rolls on, Mosqueda could gain some unlikely supporters. Central District homeowner Ruby Holland has argued that the MHA plan would result in displacement, saying Murray “gave our land to developers on a silver platter.” But she now wants to see development spread out.